I like eggnog. I make it for myself from time to time. It tastes good but I don’t crave my homemade version. Normally, I can’t buy commercial egg nog in the store during the holidays because I am lactose intolerant. But about a year ago, I noticed Lactaid was making eggnog during the winter holidays in quart size containers. Having to abstain from foods you like over and over again can create some pent up desire. So when I saw it in the cooler, I had to try it. It was good. Really good. I drank the whole carton and went back the next day for more. I tried to moderate my intake. I’d pour half a glass … then go back half an hour later for another half of a glass … several more times. Then came January first and they stopped making it. I was beside myself. I visited several grocery stores hoping to find it. It was then I knew how much I was really craving the stuff. I’m going out on a limb using the word ‘all.’ All of us know the experience of craving. I noticed myself inspecting the shelf in the refrigerated section where I first found Lactaid Eggnog, every time I passed by it in the Price Chopper near our house … for the next six months, hoping some might appear. As someone well versed in the theory of Buddhism, I recognize my inner experience in the Pali term ‘tanha.’ The literal translation of the term is ‘thirst.’ Every time I saw the shelf was empty, I felt a tiny bit of sorrow, of what the Buddha called ‘dukkha.’ It was obvious to me that my thirst or craving for egg nog was causing me unhappiness and suffering. My yearning for Lactaid egg nog rubbed my nose in the Buddha’s first and second Noble Truths: We are frequently dissatisfied with the way things are. The source of that dissatisfaction is our wanting what isn’t and rejecting what is. The Buddha taught the middle way, the path of moderation, releasing craving and aversion and cultivating equanimity and acceptance. I’d like to discuss another way to look at this process that is science based. It is the science of homeostasis. Coined by Bradford Cannon in 1926 and originally described by Claude Bernard, they used the term to describe regulatory processes in living organisms. If our body temperature goes up or down too much, we get sick. If our eyes feel dry, we blink unconsciously to keep our corneas moist to prevent blindness. If our blood sugar isn’t carefully regulated, it can be life threatening. Many, many processes in the body have intricate feedback loops to keep us healthy and happy. Those many interlocking processes are finely tuned to support our experience of being “normal.” I’m awed they all work together as well as they do! Those inner processes depend on our brain and senses to regulate what happens outside our bodies. When we are hungry, we need food. When we are thirsty we need water. When we are tired we need sleep. When we are cold we need warmth. If we don’t get enough food or water or sleep or warmth, we may die. And if we get too much food, too much water, too much rest or warmth,that too may imperil us. We need just the right amount, when we need it, to maintain our homeostasis. When I drank my first half-glass of eggnog, if I needed food and water, that need was likely small and easily satisfied by the first couple of sips. Something else besides the forces of homeostasis got me up for the second half-glass. Craving interferes with the process of homeostasis and unbalances the system. Thankfully our bodies have all kinds of other mechanisms to stop the process of desire from over regulating ourselves. One of those processes is a sense of being full. I might have had that sense of being full after the second half glass. But it didn’t stop me from getting up for the third half-glass. You see, I might have had a little self-judgment about not being able to stop with just one half glass of egg nog. That might have caused a drop in my endorphins and initiated a blah feeling. Or the sugar rush might have been starting to wear off as the spike in insulin to cope with all the high fructose corn syrup I’d just consumed caused my blood sugar to drop. This might have engaged a second regulatory process to increase endorphins and blood sugar by having another half glass. Now magnify and intensify this process and replace it with alcohol, methamphetamine, cocaine or heroin. These substances have far greater impacts on our bodies and create much greater disruption of our homeostasis. As research has shown, those prone to become alcoholics metabolize alcohol in a special way that produces a strong pleasure response. This is not true for everyone. I know it doesn’t happen for me. I intensely dislike the feeling of being inebriated, which doesn’t take more than two or three drinks. I know for others, after two or three drinks is when they start feeling good, and want more of it. The inner experience is quite different but the biochemistry of the effects of alcohol on our homeostasis is the same. Not good. It’s a poison. So the addiction process starts out harmlessly enough. Addicts use a substance to regulate their emotional homeostasis, often to feel normal. They habitually use the substance to regulate their mood, often when they are feeling down, to elevate it again. This may work long enough to condition the habit deeply and powerfully. Then the emotional regulation process begins breaking down. Tolerance develops and more and more of the substance is needed to get the same effect. Meanwhile the toxic effects of the substance begin to accumulate. The more the substance is used to make the addicts feel better (the way they remember it working) the worse things get. Stopping using makes everything feel even worse. This leads to a complete breakdown of homeostasis, the very process the addict is trying to fix with the substance. And given the mental impairment that goes along with substance abuse, the brain can’t correct the errors in understanding how to bring the system back into balance. The addicts feel trapped. They don’t know how to fix themselves by themselves. They need help … but often don’t know it or resist the idea that another can help. I hope you heard in the readings from the Big Book and the Small Book that there is no one right way to deal with addiction. Each person’s biology is unique. The ways addiction manifests for each person is different. Each substance has its own unique aspects too. 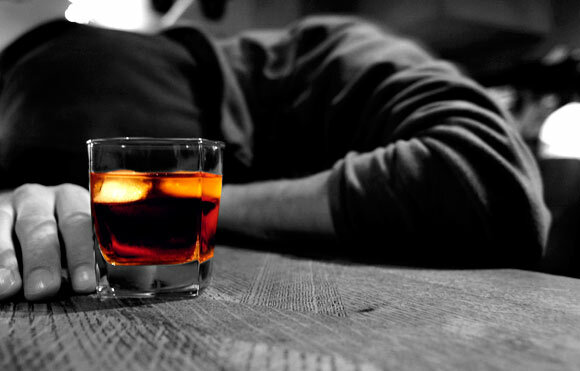 Just because one person can quit cold turkey and never have another drink doesn’t mean another person can do it too. The Anonymous approach works for many, many people … but doesn’t work for everyone. Rational Recovery using Rational Emotive Therapy might work for some people but not others too. Let us be grateful for the variety as it helps more people abstain from substance abuse and live healthier, more satisfying and productive lives. What interests me as a minister and religious leader is the higher power concept. Alcoholics Anonymous created this concept as a way to point at God without using the term God. Is Higher Power just a stand-in term that points at God … or did AA stumble inadvertently on something else? And why does even a willingness to consider believing in a Higher Power, “get results?” Why does believing in a Higher Power have anything to do with being able to stop drinking anyway? Lots of God loving and believing priests are active alcoholics. Alcoholics Anonymous is based on the Christian conversion experience that has been universalized as a spiritual process. Though the Christian elements haunt some AA meetings, great effort has been put into keeping the Higher Power concept non-Christian. But without a doubt, the Higher Power concept does have a strong faith component. It is faith in the Higher Power that supposedly does the inner transformation work and liberates the addict from craving. If you read the Big Book, it is pretty clear that faith is shaped like a Christian conception of God even if those terms are not used. AA lowers the faith barrier to the experience in that conception with the Higher Power language. What captures my attention and interest in the whole process that AA describes through the 12 steps is the reliance on experience. Believing “gets results.” If it didn’t then why do it? AA is arguing for an experience based approach to spirituality. You try believing then you get results which then reinforces the process of believing. And believing in what? A power greater than yourself. I am a true believer in a lot of powers greater than myself. Every time I board a plane and defy gravity by climbing to 37,000 feet inside a metal tube of compressed air, lifted by wings, I heavily believe in powers greater than myself. There is no way I have the power to get that plane off the ground by myself. I believe in using stop lights to regulate traffic. I believe in the medical system to offer me care to support my health. I believe I can buy safe and healthy food when I shop at the store, trusting many powers greater than me that regulate the food supply. I continually marvel at all the fresh food waiting for me any time I walk into the market. For me, I find it very easy to believe there are forces much greater than me into which I can tap for assistance. In seconds I found out who created the idea of homeostasis by checking it out on wikipedia, clearly and without a doubt, a power of knowledge greater than me. I carry a phone in my pocket that gives me power far greater than my simple little brain. You see, the Higher Power concept is a very simple, yet effective way for us to begin to recognize the limits of our own ego, our own sense of self. When we are willing to see that we are not alone in the world; when we are willing to see that we are tightly bound into an interdependent web of existence of which we are a part, everything begins changing. The Buddha talked about this as anatta, as non-self. Jesus pointed to it with the words, Realm of God. What is really real is we are a very small part of a much, much greater whole. The self-aware experience of being part of that whole can be an experience of love without an object, what the Greeks called agape. And agape can overcome craving. So, I’m good with the Higher Power concept. But I’m also good with the No Higher Power concept. Sometimes people are so locked up in negative associations with the word God or theological conceptions that they disagree with or have suffered for not believing in them that they can’t get to a place to see them as metaphors for real living processes. And there are effective ways to use reason to alter how your brain works that reestablishes the process of homeostasis again. Both are fine, depending on which one works better for you. And this wonderfully parallels what Unitarian Universalism is trying to do. We don’t pick sides. If faith works for you great! If reason works for you great! I know I love them both and affirm them both. I don’t see them as contradictory but as two different lenses to view reality. What matters in addiction is stopping the substance abuse. What matters in Unitarian Universalism is connecting to our core values, affirming them and taking the values we cherish and living them in the world. However we come to affirm those values, either by faith or by reason will work and get results. All this matters because we live in a world addicted to material progress and it is killing us and killing the planet. Many of the humans who are destroying our world are poisoned by craving and don’t know it. Whether by faith or by reason, let’s get better and help both ourselves and the planet get back to homeostasis. One of the best parts of the AA program is the catchy quotes and slogans. I’ll conclude our service with a few of them. Many times we talk to the new man and watch his hope rise as we discuss his alcoholic problems and explain our fellowship. But his face falls when we speak of spiritual matters, especially when we mention God, for we have re-opened a subject which our man thought he had neatly evaded or entirely ignored. I have a fundamental respect for Alcoholics Anonymous. When I reached out for help with my own alcohol dependence, it was there—a fellowship of concerned human beings helping themselves by helping others. I have been to many of their meetings and I learned some important information about alcohol dependence. I have friends who still attend AA. It does much good for many people, and I know it. I also know that there’s a lot that is rational within AA. But thousands leave AA each year, disgruntled and ripe for relapse, unable to make use of a very good program…most leave because the 12-step program is faith-based. As a means of survival, people in AA have faith in something other than, or greater than, themselves, and they implore newcomers to share that faith. This is well intentioned, for it has been an effective way for some to halt the self-destruction that results from alcohol or drug dependence. AA veterans, the refore, will be very persuasive in urging newcomers to surrender reason to faith. In AA, one’s attempts to reason are commonly regarded as “part of the disease of alcoholism” in the sincere hope that, by surrendering to some higher authority or group mentality, one will change for the better. AA is not a wrong program, but for those who examine it and find it unhelpful, irrelevant, or disagreeable, it is the wrong program. This is a book for those people—a vindication of their point of view and the power of reason, and at the same time a challenge to them to overcome the ideas of dependency and powerlessness that have been so destructive. I know I cannot do this alone. To restore my life to sanity. And I have found contentment at last. Dedicated to the service of others. And the shadows of addiction, flee away.